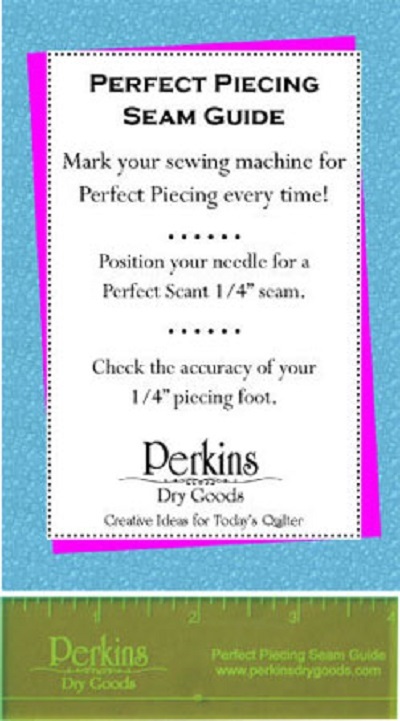 Position your needle for a Perfect Scant 1/4″ seam. Great for use when you don′t have a 1/4″ piecing foot available. You can even use it to check the accuracy of your 1/4″ foot. The guide is placed under presser foot and needle is lowered through the hole in the guide to allow marking perfect seam placement on the bed of your sewing machine using tape or sticky notes.